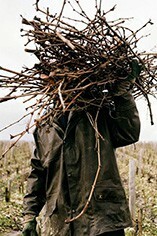 Grass is grown between rows to minimise vigour, and effeuillage is carried out later on in the season, as early effeuillage can result in shrivelled grapes. Grapes for all wines are put into plastic bins in the vineyard to avoid crushing. 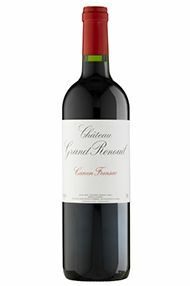 Grand Renouil is made from grapes grown on the steeper slopes of the commune of St Michel de Fronsac. A large part of the vines are over 70 years old. Made from 100% Merlot this wine has spent 12 months in barrique.